The House of Representatives member representing Kazaure Roni/Geisel/Yankwashi federal constituency in Jigawa State, Mohammed Kazaure, has said he was yet to see anyone who can defeat “old man” President Muhammadu Buhari in 2019. 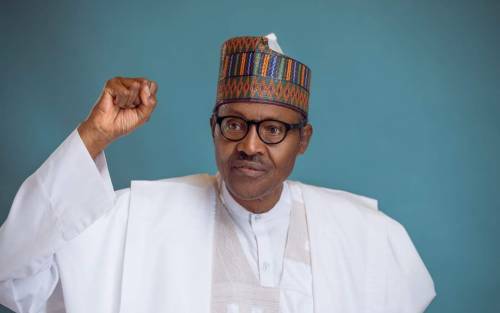 He spoke during the launch of “Together Nigeria”, a programme organized by the Buhari Support Organisation, BSO, at the Presidential Villa, Abuja, on Wednesday. Kazaure however described the Peoples Democratic Party, PDP, as custodian of corruption in the country. “I have not seen anybody that will defeat that old man Buhari,” he said. The lawmaker stated that the former ruling party can’t go out campaigning about corruption ahead of the 2019 general election. Kazaure said Nigerians should ensure Buhari wins so he can “consolidate the gains recorded in the last three-and-a-half years”.